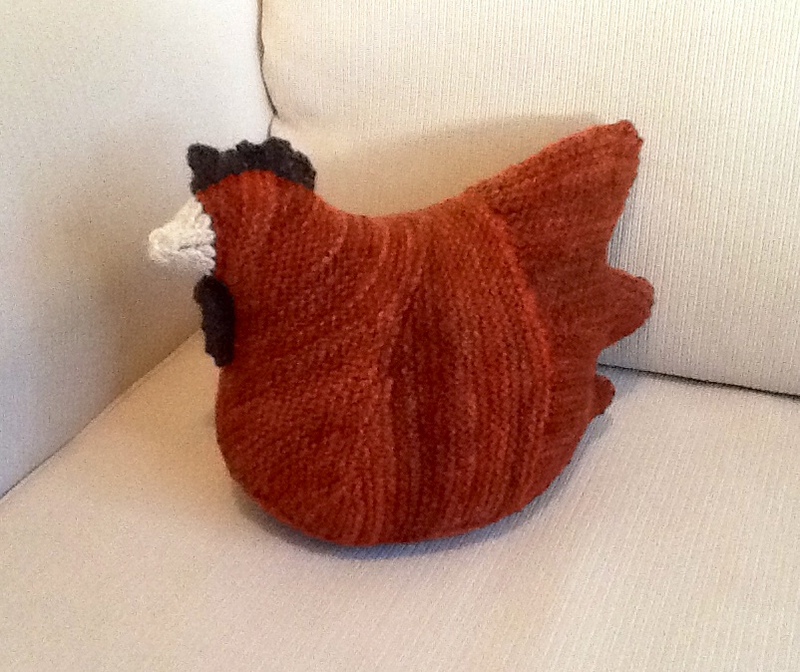 I came across this knit chook pattern after watching a documentary on the Black Saturday fires that devastated Victoria in 2009. 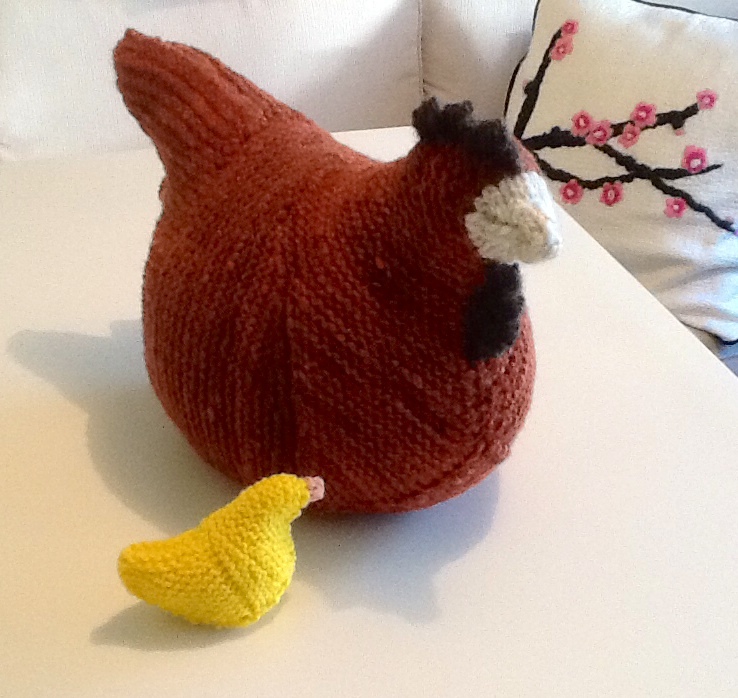 There must be something very special about this pattern because not only was it a joy to make but when finished, this chook has something magical about it. A very calming presence – it’s no surprise these chickens were used for therapy after the fires. I used yarn that I dyed and spun from a grey merino fleece. I’m not great with dyeing. 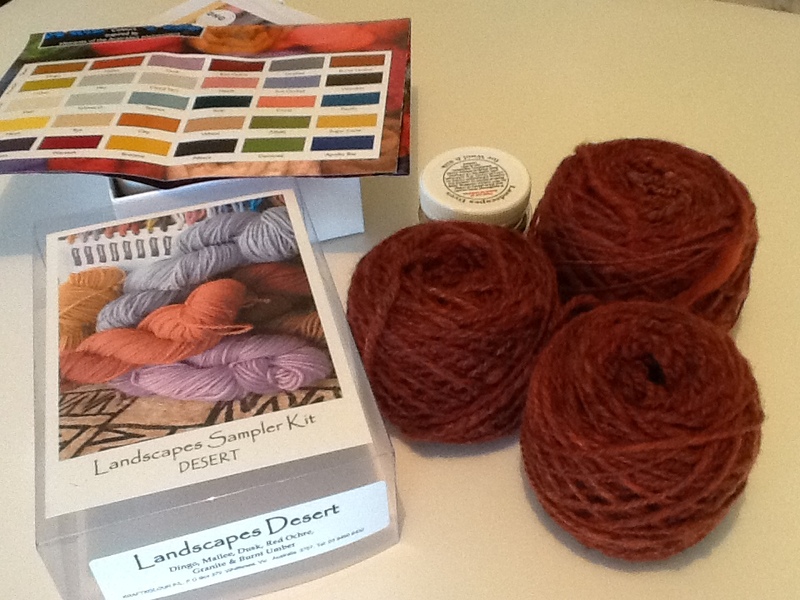 I hoped to get a beautiful dusky desert colour but ended up with a muddy red-brown. 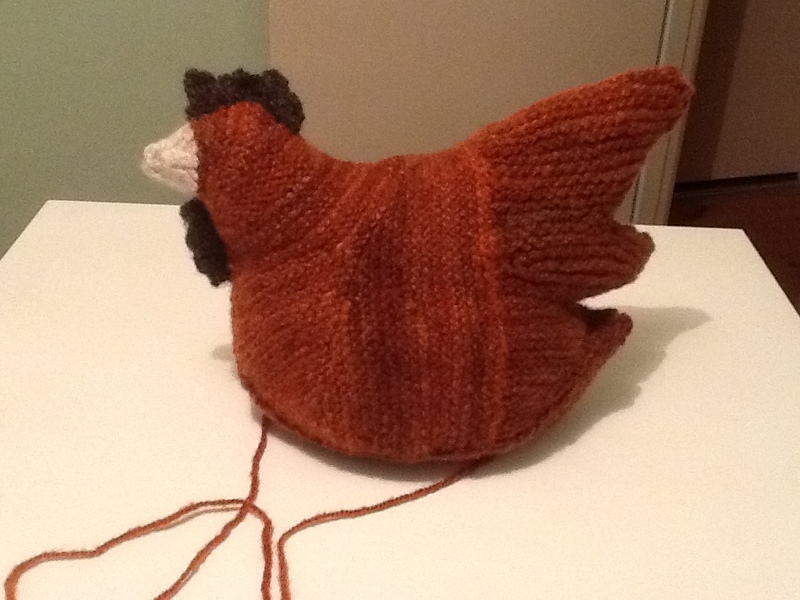 Turns out the yarn was perfect chook colour! 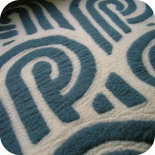 I bought the pattern online from Winterwood. 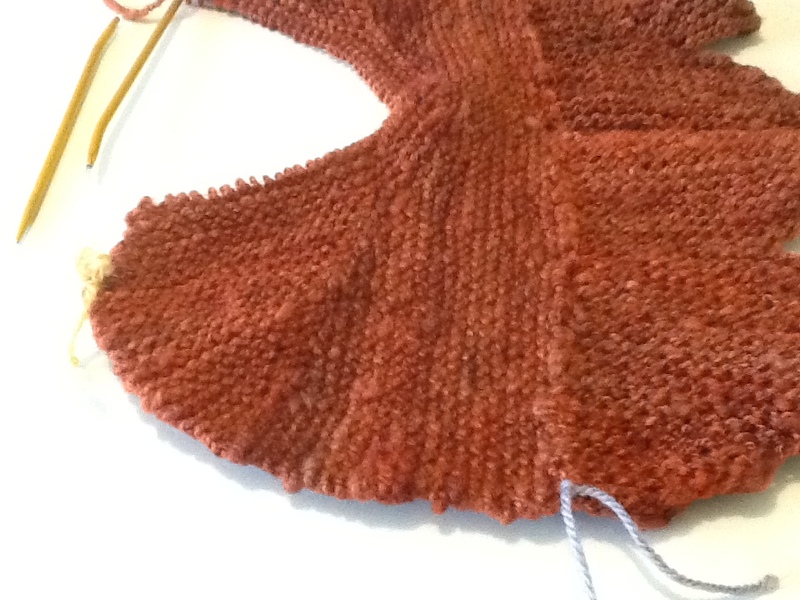 The pattern has a lot of increases, decreases and wrap & turns. 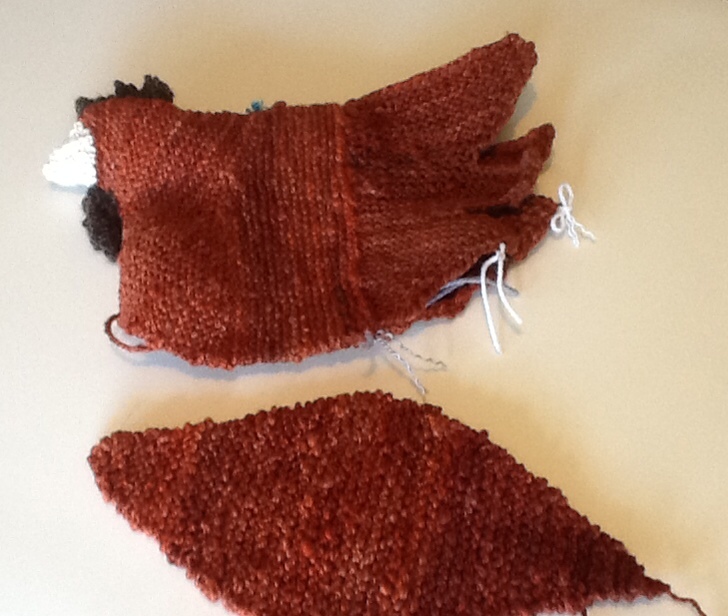 The tail is knit first, then you pick up stitches to make the body and finally knit a gusset for the underbody. The pattern also includes a wattle and comb. A light felting brings the whole thing together, creating a cohesive fabric. 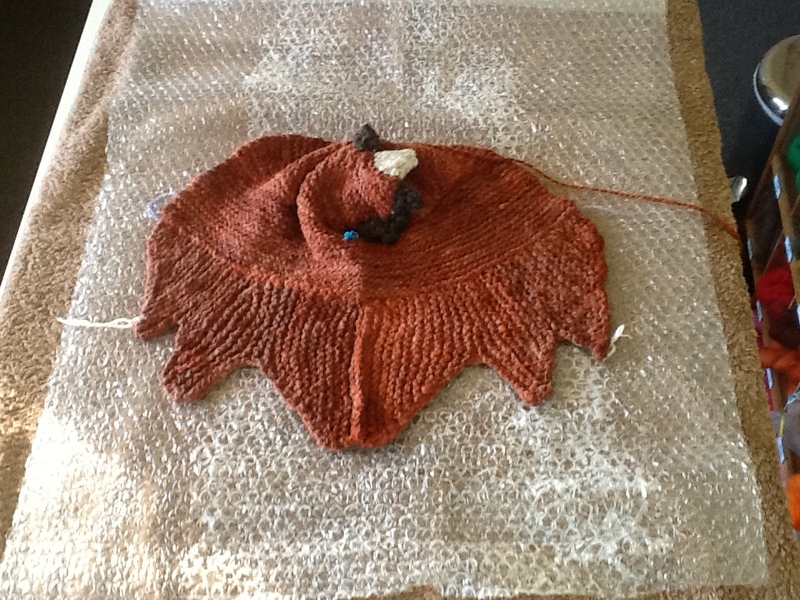 Acrylic yarn won’t work for this – it’ll need to be untreated wool to be feltable. Here she is waiting patiently. Stuffed with newspaper and plastic bags after felting to dry in shape. 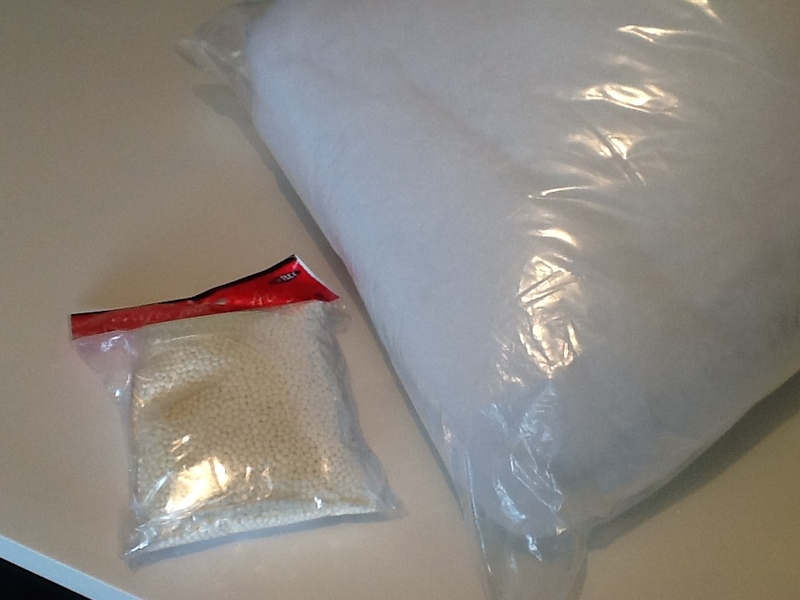 I stuffed her with polyester fibre fill but she was too light so I added a whole packet of plastic pellets as well. She already had natural presence but needed the weight to give her gravitas and dignity. About the size of a football, this chook fits snugly under the arm and was made for cuddles. You also get the feeling she has the wisdom of Solomon. What a chooki! they do seem to have a comforting presence…. I too saw the program on TV and ordered the pattern. I’ve had a great time knitting several now. I tried on with a variegated 100% wool but it wouldn’t felt; I discovered that the wool had been bleached before it was dyed hence it was treated wool. I had great success making a white chook and threated some black through it to represent the light Sussex breed I had recently hatched. I knitted a pink on for my granddaughter and currently have plans for more crazy coloured girls. I enjoy the challenge of the pattern. 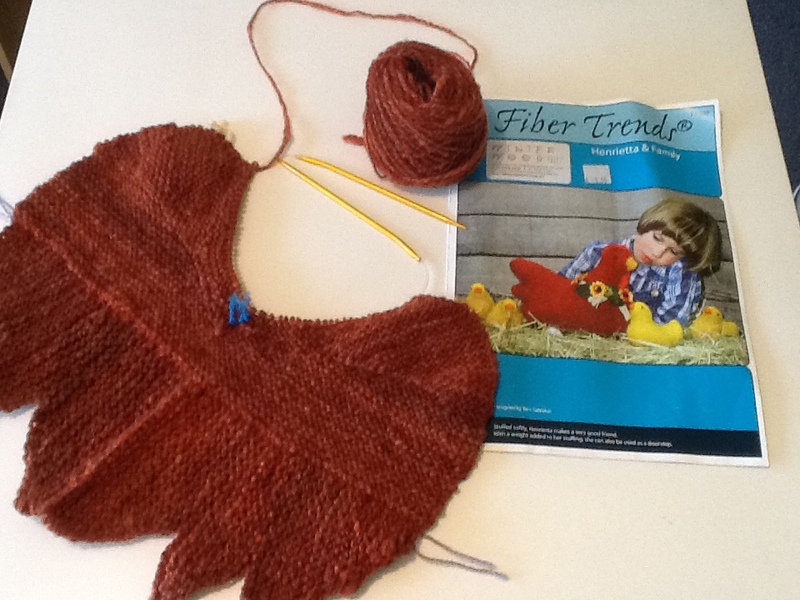 This entry was posted on 21/06/2014 by flicstar in Toys and tagged black saturday, chicken, chook, knit, poly pellets.